Georgetown Law Journal Editor in Chief (2018-2019) MJ Kirsch (L'19), Judge Thomas Hardiman (L'90), Dean William M. Treanor and Editor in Chief (2019-2020) Grace Paras (L'20) at the Journal's Annual Alumni Banquet March 30. 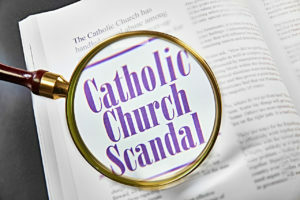 The crisis of sexual abuse by Catholic clergy stems from many causes and failures. 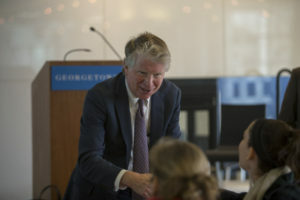 On April 9, Georgetown University Law Center and Georgetown University’s Initiative on Catholic Social Thought and Public Life sponsored a timely and much-needed dialogue with survivors, clergy, attorneys for the Catholic Church, attorneys for survivors, canon law and civil law experts, media, social workers and more. 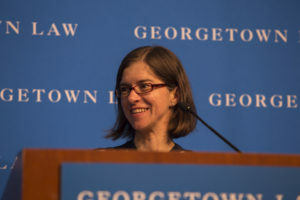 “Just as our recent wars have mostly been against those who are poor, those who can easily be demonized and viewed as ‘other’ by the average American — so too, our criminal law has tended to be enforced primarily and disproportionately against the poor and people of color,” said Professor Rosa Brooks, who was installed as Georgetown Law’s inaugural Scott K. Ginsburg Professor of Law and Policy on March 20. 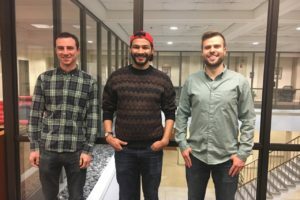 Section 3 first year students Natalie Tverdynin (L'21), Jeremy Penn (L’21) and Akshay Nelakurti (L’21) had some unexpected free time on the morning of March 21. 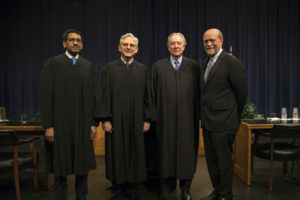 So the three friends went to hear oral arguments of the U.S. Court of Appeals for the District of Columbia Circuit — with Chief Judge Merrick B. Garland (H’18), Judge Sri Srinivasan and Judge A. Raymond Randolph. When Cyrus R. Vance (L’82) became the Manhattan District Attorney in 2009, he noticed that the numbers of men and women of color being prosecuted for crime was the same as the number being prosecuted 30 years ago, when he was an assistant DA. Vance asked himself, Why is this picture the same? Does this system of justice keep us safer? Is it fair? What can we do to change it? 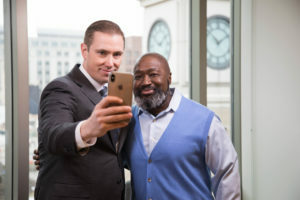 In the spring of 2018, Professor Shon Hopwood was driving through Tennessee to visit a client when the president of Families Against Mandatory Minimums (FAMM) — a nonprofit working towards criminal justice reform — asked him to reach out to a man named Matthew Charles. Almost half of all African American men have been arrested by age 23. One in three have a felony conviction. More than 500,000 are currently incarcerated. 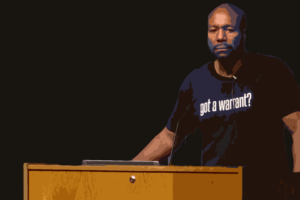 Professor Paul Butler knows this, because as a former federal prosecutor, it was his job to lock up black men. But Butler, a black man, is well aware that his own resume (which also includes Georgetown Law professor and a J.D. from Harvard) hasn’t insulated him from police bias. 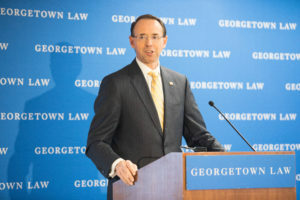 When Deputy Attorney General Rod J. Rosenstein first became a prosecutor nearly 30 years ago, a criminal investigation of a business might have entailed executing a search warrant, going into a building, and carting out boxes of documents to review as potential evidence. Today, such records are stored in digital formats, possibly in foreign countries, generated by employees (and potential perpetrators) who might not even be on site. 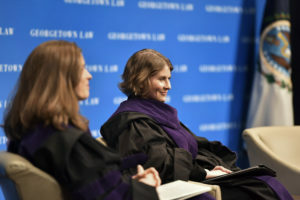 Read feature stories on our Supreme Court Institute, Street Law Clinic, and the new Blume Public Leadership Institute.